AVI ROKAH 'The Tradition Continues'. Interview By John Cheetham. 'ORDINARY PEOPLE' - Kawasoe's Summer Camp. By Gwyn Mowll. BOOK REVIEW 'STREETWISE'. Reviewed By John Cheetham. The Anatomy of the Hip for Flexibility. By Scarlett McNally BSc. Thoughts from Japan. 'BACK TO BASICS'. By Dave Hooper. AVI ROKAH Interview - (Part Two Continued). Vintage Character vs. Modern Technique. By Scott Langley. 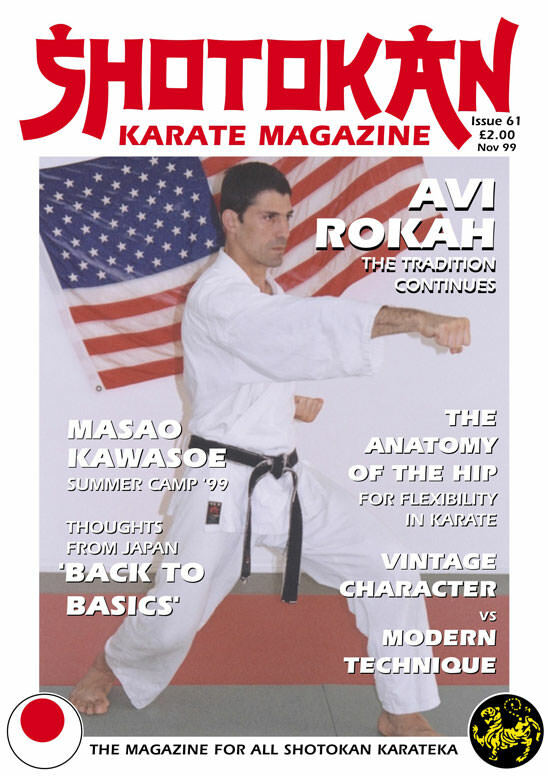 I am fairly sure you will agree that the interview in this issue with Avi Rokah, Nishiyama sensei's assistant instructor in Los Angeles, is one of the very best 'educational' interviews we have ever had in the magazine. After training virtually every day for the past twenty years with Nishiyama sensei, Avi's understanding, technique and ability to explain those extremely important principles and technical points is absolutely second to none. I'm sure everyone will learn something from this marvellous interview. Thank you Avi, we all appreciate your dedication to the art and I feel that karate is in good, safe hands if it's to be passed on by people of your obvious spirit and technical level. He describes the confusing points regarding contraction - expansion of the muscles, and how to develop 'timing' and a whole range of technical 'goodies'. This interview needs to be studied not just read. This is why I published the whole interview in two parts (in one magazine). It flows far too well to be split into one half this quarter and half in the next. Not many students of karate train 'daily' with a Master of the magnitude and experience of Nishiyama sensei but we are fortunate to have this man, Avi Rokah, share his world with us here, through the magazine. It's a gem of an interview this one! Amazing stuff! Well, Dave Hooper certainly doesn't hold anything back! Dave's article is both technical and educational in many ways. He points out the sometimes vast difference between the way the Japanese (JKA) train and teach karate and the way many western karate-ka both teach and train. In a way these two articles (Dave Hooper's and Avi Rokah's) have subtle similarities which I am sure you will spot after reading them very carefully, which will hopefully induce some interesting debate in future editions of the magazine. 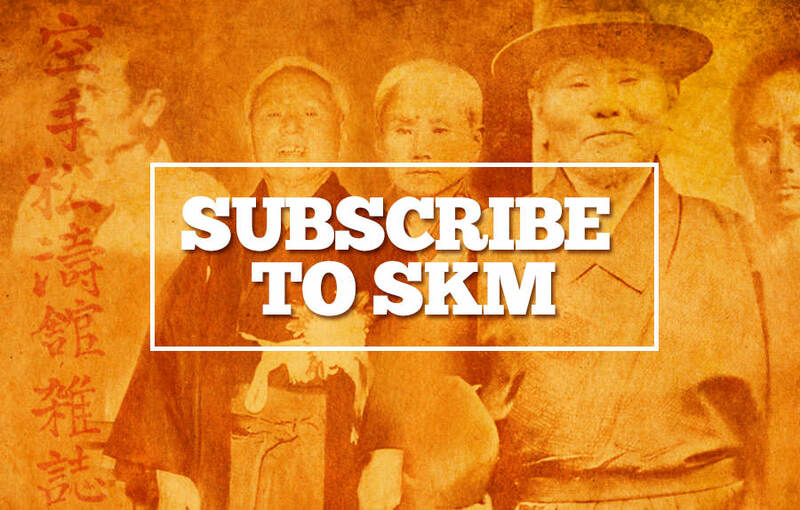 Gwyn Mowll is another popular contributor to SKM. His article this time, 'Ordinary People', incorporates a very 'human' touch combined with a report on Kawasoe sensei's summer camp. You may think it strange that I should review a book on 'street survival' in a purely traditional karate magazine. I do have an open mind to other related subjects but I think in this case it's more to do with the principle idea of the book; the emphasis on awareness and dealing with fear and developing one or two techniques to such a degree that they are a totally natural response under any stressful circumstances. This ties in with what you must have read about good karateka always having a couple of favourite, and best technique(s). We can't be good at everything but we should make a very serious effort to be excellent at something, even if it's just one or two techniques that suit our own body and personality; a bit like kata really, don't you think? Eventually you find one or two kata that seem to suit yourself personally for a multitude of reasons; physical, mental and spiritual. I think there's some confusion regarding karate and 'street fighting'. Karate works for sure, 'in the right hands' but I still believe karate is far deeper than just fighting, although originally it wasn't!? See you in the new millennium.